The moves include new branding, and a system to enable passengers make sure the appropriate driver is in the vehicle. All taxis in Ireland will be obliged to carry these decals on their driver and passenger doors from January. GREATER PROFESSIONALISM AND accountability is being encouraged in Ireland’s taxi sector, with new decals and other moves being introduced. Public Transport Minister Alan Kelly welcomed the new taxi branding signage, which he announced will be phased in to Ireland’s taxi fleet from January 2013. The branding will contain the individual vehicle licence number associated with a particular vehicle and will also carry the ‘Transport for Ireland’ logo. New York has yellow taxis, London has the famous black cabs. 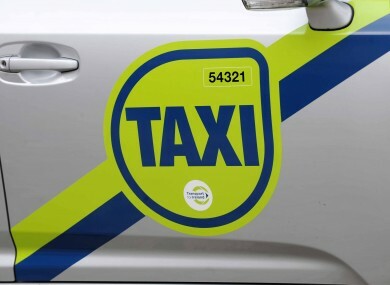 These approaches would be far too expensive for Irish taxi drivers but to ensure the people who operate in the sector are accountable for their vehicles, we have opted for semi-permanent branding for taxis. He described the move as “a very significant reform” and said it will encourage a more professional approach to the taxi sector. We want to ensure that those who operate taxis are committed and accountable. It will make it harder for rogue drivers to continue operating in the sector. As part of the changes, a new online system will be introduced that will link the driver with the vehicle they are using, allowing passengers to check the appropriate driver is in the vehicle. There will be new age limits for vehicles introduced, and ‘Taxi Plate Only’ rental will be prohibited. Under the changes, the SPSV vehicle licence will be linked with the vehicle owner. New taxi and hackney vehicles will be prohibited from having tinted windows when entering the fleet. The transferability of taxi vehicle licences will come to an end, and the inactive licence period will be reduced. Email “New reforms for taxi sector announced”. Feedback on “New reforms for taxi sector announced”.